Or why as a business owner you need to understand UX and how it affects your business. You would have recently heard about a little incident that occurred in Hawaii whereby a missile launch alert system was ‘tested’ to the entire state… what a disaster! The error had real implications, people calling loved ones in fear of living in their last moments, running and hiding in the belief a missile was headed their way… But in the end, it turned out to be a simple human error, someone in this poor guy’s team clicked the wrong button. So how does this happen? And how does it relate to your business? Let’s dive into a little lesson regarding user experience. User Experience (UX) is not a buzzword, but a process for making your digital assets more usable. Simply put, the interface for issuing the alerts was terribly designed. The options within the HIEMA system for issuing tests and live warnings. 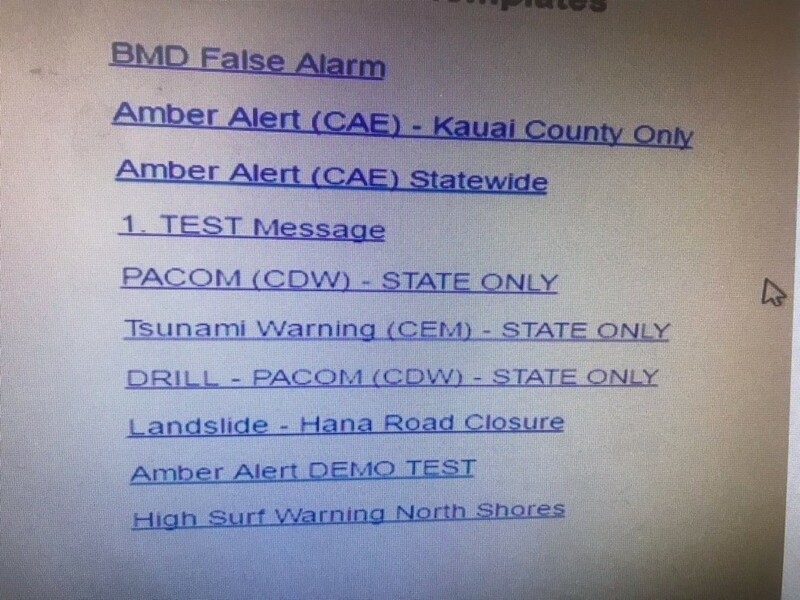 Vern Miyagi’s team member inadvertently selected PACOM (CDW) – STATE ONLY instead of DRILL PACOM (CDW) – STATE ONLY. But can you blame them? The option they selected sat right below a message title marked ‘test’, making it appear that all below links are test messages. Why are the ‘test’ and ‘real’ alerts grouped within the same view? Separating them would eliminate any confusion. Is there a validation message to ask the user to confirm their action? Doing so would again describe the action they are about to take and any implications. Is there a failsafe for live tests which requires an additional administrator to confirm the selection? If the links are user-generated, are there guidelines about posting them to reduce confusion? Why not group tests and live alarms separately? And as an additional measure, have a confirmation modal reiterating their choice? Ok so how does this relate to your business? Are the calls to action direct enough? Are there too many steps to complete the action which could cause user fatigue? Is there an issue on a specific device which equates to a good % of your user base? If they change their mind, is it easy for them to adjust their decision? Are you asking for too much information within a form which causes a high drop off rate? The key here is to have empathy. User experience requires you to put yourself into your users shoes and optimise their experience to be great, not just good. Which is what we do here at Juicebox. It may be hard to reflect on this point, but your users don’t care about your business. They care about your goods or service and have very little patience. It’s crucial when creating a digital experience that you have a strong understanding of who is engaging with your product, what their needs are and how you are addressing them. Why not let us help define that for you?